The word is out - Northern Baja is home to an awesome and continually evolving culinary and wine scene. The likes of The Wall Street Journal and The Guardian have picked up on what's going on down there, and Baja's culinary arts were even declared a State Heritage in 2013. We we wanted to share a glimpse of what's going on south of the border from local food bloggers Life & Food themselves, who follow the newest developments on a daily basis. In addition to their blog, they run tour company Club Tengo Hambre, with a monthly contribution to San Diego Magazine on Baja eateries. For us -- as Southern California natives -- our love affair with Mexico goes back to childhood, but Baja more recently got its hold on us in 2006, when we first arrived back in San Diego. Before settling down, we threw everything we had into storage and packed our truck for a 3-week camping trip to the southern tip of Baja and back. Since then, it's been incredible to see all that's taken place in the gastronomy of the northern Baja region, including Tijuana, Ensenada, and the beautiful wine valley that is Valle de Guadalupe, just east of Ensenada. Kristin and Antonio of Life & Food are true connoisseurs of the region, and it's been an inspiration to trek through Baja with them and check out the art and architecture that also infuses the region. If you missed December's Club Tengo Hambre outing, Tijuana After Dark, a Prohibition-inspired secret dinner in collaboration with Chef Javier Plascencia and the famed Caesar's Restaurant (photos below), make sure to follow CTH and Life & Food for info on future events and some serious visual stimulation. Below are a few questions we sent over to Kristin and Antonio of Life & Food. Enjoy. Valle de Guadalupe is home to many culinary masters (Finca Altozano, Corazon de Tierra, Deckman's at El Mogor, Laja, to name a few). 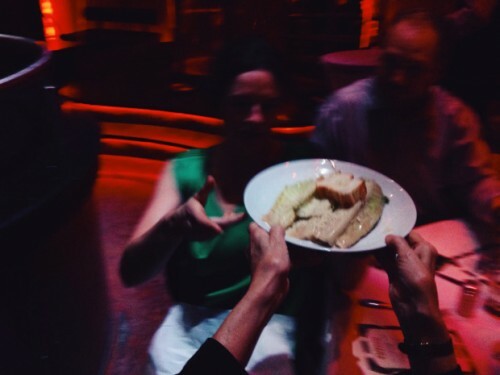 How would you characterize the common thread of the cuisine of the valle? The soil and the land in the Valle de Guadalupe help to characterize the base of many meals that have been enjoyed there, as well as the countless sips of wine to go along with them. When taking a bite into the freshly picked greens in a salad at Corazon de Tierra, or the mesquite grilled tacos at Finca Altozano, there is no doubt that you can taste the earth that it came from. The tomatoes from Natalia Badan’s garden that Chef Drew Deckman uses at Deckman’s en El Mogor are almost magical. The same thing goes for the beauty of the Pacific ocean providing much of the seafood to the restaurants and campestres there. 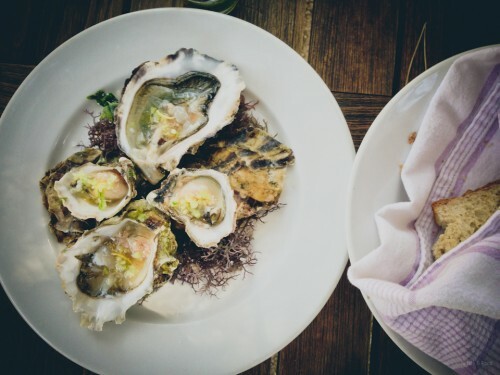 Slurping down an oyster, and tasting the crisp saltiness of the ocean is an experience all on its own. 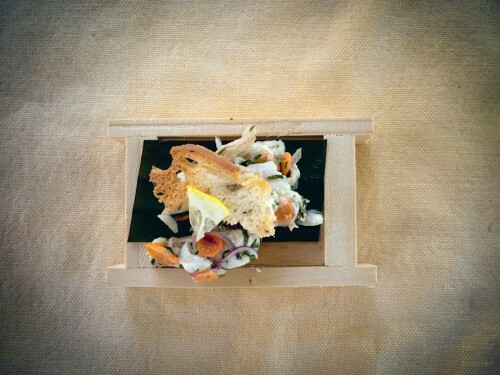 Some of the best Baja chefs use local ingredients in a way that is truly experimental and innovative. What kind of inventive approaches are you most excited about lately? The passion behind the preparation and use of the local ingredients shines through in many of the meals that we have enjoyed in Mexico’s wine country. To us, keeping a dish and its ingredients true to its surroundings is what matters the most. We love to hear the stories behind the inspiration and sourcing of the ingredients. It may not necessarily be innovative, but it is what excites us, and keeps us yearning for more. You have enjoyed many of Chef Plascencia's meals at his various restaurants. What was your most memorable meal? 12+ course dinner at Misión 19. Chef’s Table. A remarkable experience celebrating a friend’s birthday. Chef Javier Plascencia prepared quite a few dishes that we had never tried before, and as always they were incredible! In one (or two) sentences, why would you encourage Americans/foreigners to travel to experience the cuisine of Baja? Baja is truly unlike anywhere else in the world. You honestly have to come and explore the cuisine, culture, and beauty that this northern most state has to offer, in order to believe all that you may have read or seen recently. 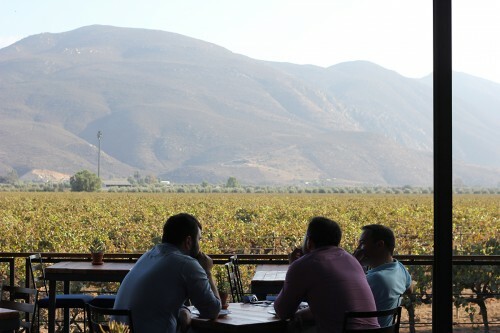 As this article points out -- quoting winemaker Hugo D'Acosta and referring to the dusty roads of Valle de Guadalupe -- "